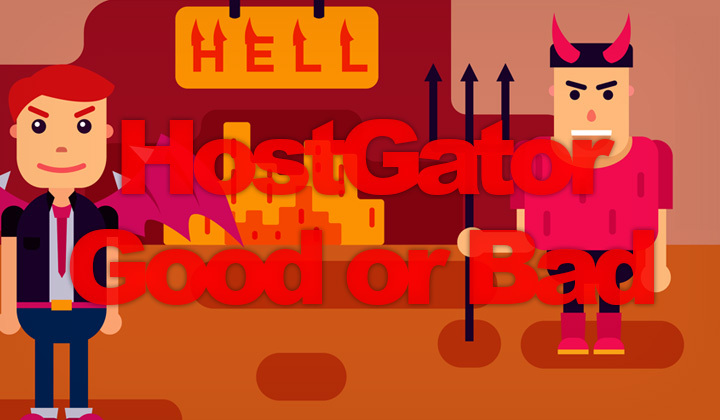 As an old customer since 2014 — in this review I’ll explain the negative sides to HostGator Hosting, and it’s support & customer service in 2019. Find out for yourself if they are really good or bad! So is HostGator an evil company, after your wallet with their bad services and support that doesn’t care about their customers? Well, not really. Just like with any hosting service, you’ll find negative reviews left by unhappy customers, some for good reason and others for their personal grief. I would trust the big companies that are experienced in evaluating hosting services. Like have you seen — all the hosting awards HostGator has received? The good sides to HostGator hosting services are pretty obvious. They have amazing deals like “1 penny hosting” to get started, for basically free. They have 24/7/365 support ready to serve you on their live chat with a max. 5 minute wait. And you can call them on Skype for free, from anywhere in the world. Websites run fast, on their massive server operations with multiple service providers for good connectivity and uptime. Benefit with big companies. The negatives are pretty obvious too. As they might seem super cheap at first, actually you are not getting this hosting service for free. The price of hosting will go up on your next billing cycle, which is why it’s common to go with super cheap hosting on a 36month plan and worry later! And then, if you want additional services (which most HostGator customers seem to do without), they will cost you extra. Things like, SSL certificates for hosting on HTTPS, automatic backups, easy website builder, etc. increase the cost. Don’t want to be billed for these additional services, and want to stick with low-flat pricing, not having to move host after your fist billing cycle..? Best solution is to go with a mid-sized company like FastComet. Trusting on smaller hosting companies is not as easy, and not many can provide fast customer support as big companies do. Which in my opinion is one of the key points to quality hosting services. However, the highly reviewed FastComet does. On top of all that, an added benefit is a wider scope of support, meaning they do their best to help you with WordPress or pretty much any problem you may have, even if the issue is totally unrelated to their hosting services. And you’ll know the face behind each member of their support team. So is HostGator Good or Bad? The final verdict is up to you, but if you want my advice I wouldn’t focus on too many negative reviews. Instead look at what the alternatives have to offer. And read the HostGator reviews from bigger companies. Finally, get in touch with their customer service. Ask some questions, and find out if you feel like you can work with their support staff. Because you will for perhaps long into the future if you do choose them as the home for your website. Please, leave us your review, experiences on HostGator. And what do you think is a bad, or good hosting service? And not forgetting to let my dear readers know that the nofollow links on these reviews are in fact affiliate links, which support my time and effort put into the blog. As well as give you a nice feeling if benefit is mutual. Thank you to all my readers, Tim.